The Home Building Act 1989 is the principal piece of legislation regulating the home building industry in NSW. It provides homeowners with a level of protection from the risks associated with building or renovating a home, which represents a substantial investment for most homeowners. The Act requires builders and tradespeople to be licensed for the work that they do, and to implement appropriate contracts and insurance before the home building projects commence. Insurance threshold increased to $20,000. A loss or liability that arose prior to the amendments. Resolving building disputes e.g. building defects. Mandatory home warranty insurance is a key feature of the regulation of home building in New South Wales and in all other Australian jurisdictions except Tasmania. In essence, the Home Warranty Insurance Scheme is intended to provide a safety net for homeowners. With regards to the Act, the home warranty insurance scheme sits at the end of a comprehensive consumer protection regime for homeowners undertaking residential building projects in New South Wales where the contract price exceeds $20,000. Where a builder is unable to honour their commitments under a contract due to insolvency, death or disappearance, home warranty insurance provides a safety net for homeowners including subsequent purchasers. Similarly, where a builder is unwilling to honour such commitments and their licence is suspended for failing to comply with a monetary (compensation) order in favour of the homeowner made by a Court or NCAT, home warranty insurance provides protection to the homeowner. 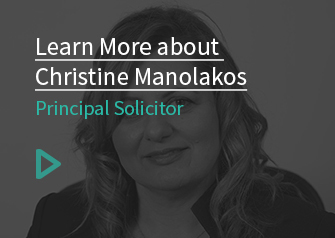 The specialist building and construction law team at CM Lawyers is always here to provide you the necessary assistance in your home warranty insurance claims. Fill out a contact form to speak to a solicitor today.